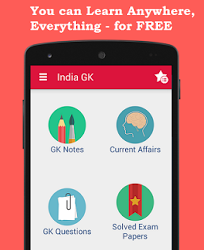 5, 6 July 2017 Current Affairs MCQs, Quiz, Questions: Current Affairs for July 2017, Daily Multiple Choice Questions (MCQs) for India GK, World GK and current affairs with Collection of daily objective type Question by www.Indiagk.net based on General Knowledge (GK) and General Science (GS) Questions for UPSC, State PSC, SSC, Police exam, Railway exam, SBI, Bank PO, IBPC, SSC, LDC, UDC, Army, Airforce, Navy, Coast Guard, Bank Clerk, TET and all entrance examination with current affairs News, Multiple Choice Questions (MCQs) available on Website www.IndiaGK.net and Android Apps with daily updates:. Which country named flower after PM Modi ? Who has been appointed as the new chief of the National Disaster Response Force (NDRF)? 10th Session of the India- Jordan Trade and Economic Joint Committee (TEJC) held in which city? GST resolution passed by which state Assembly on 5th July 2017? Who is New Chief Election Commissioner of India? Who has been appointed the DGP of Himachal Pradesh?